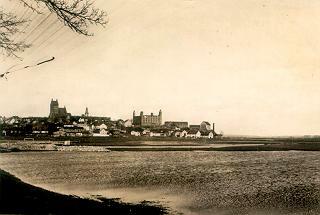 Gniew , a town in northern Poland where I went to school and worked up to 1942. 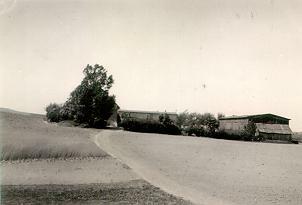 The farm  at Rakowiec, Poland, where I was born and lived as a boy. With a friend at home  I am on the right. 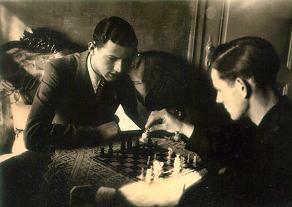 Another picture at home with a friend in 1940. 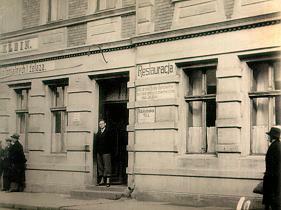 In front of a restaurant, Poland 1937. 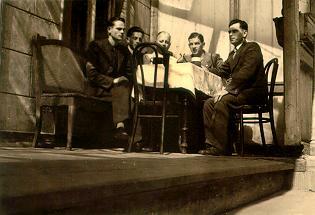 With friends at the Vistula 1939. I am on the left. 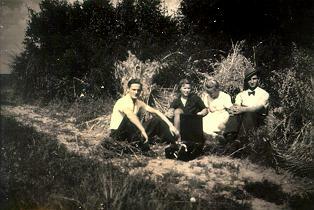 Picnicking with my sister and friends at home 1940. 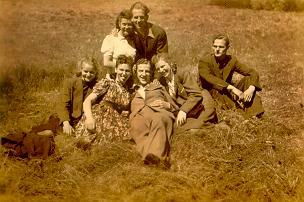 With friends in Starogard 1940. 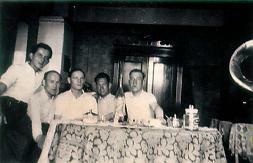 Me with friends at a hotel in Gniew, 1940. 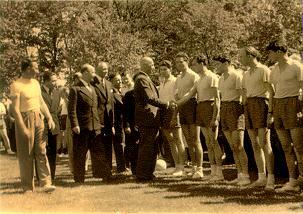 General W. Anders, the Polish military leader visiting a Polish sport team in Leicester 1949. 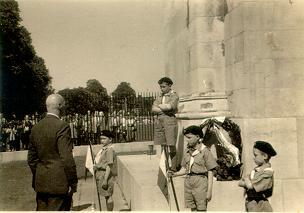 General W. Anders laying a wreath under the monument in Victoria Park in Leicester 1949, with assistance of Polish Boyscouts. 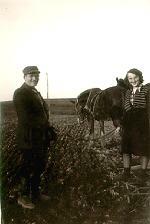 My father and sister in 1945 attending our farm. 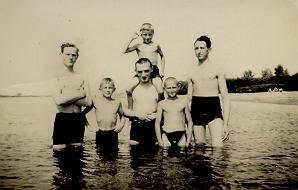 On the beach at Vistula 1940, I am on the left. 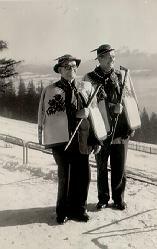 My father [on the left] on holiday in Zakopane in the fifties. 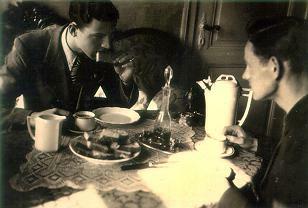 At home with friends 1941. I am in the centre of the picture. 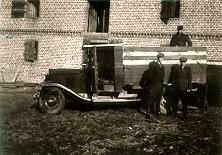 Me as a departmental manager working for a wholesale firm in Gniew, 1941. 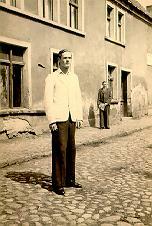 A photo of me in a back street in Gniew, 1938. 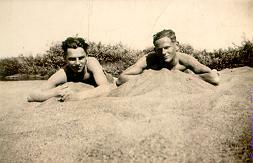 Me on the beach at Vistula with a friend, 1937. 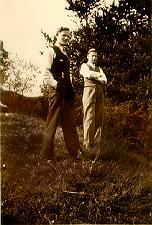 Me with a friend at a park in Gniew, the last week of peace in Europe, 1939. 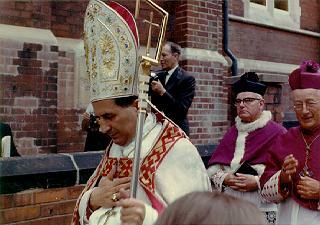 Day of consecration on a Polish Church in Melbourne Road by Bishop Rubin [now Cardinal] in assistance of the Dominican Preor [centre] 1957. 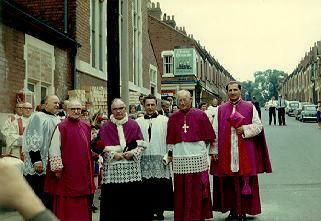 Bishop W. Rubin with assistance of priests during the consecration of the Polish Church in Melbourne Road, 1957. 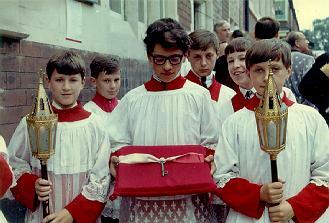 The alter boys during the consecration of the Polish Church, 1957. 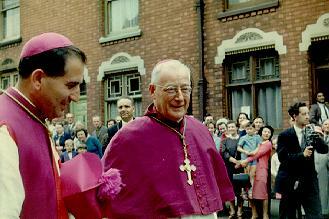 Bishop Rubin [on the right], Father A. Murat [on the left] with priests outside the Polish Church, 1957. 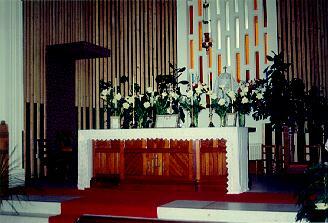 The altar at the Polish Church, the first Polish Catholic Church where the priest faces the public, Concecrated in 1957. 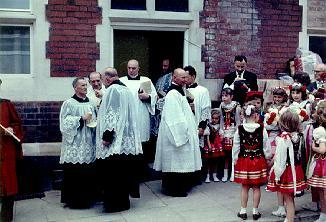 The priests gather outside the church after the ceremony with polish girls in national costumes, 1957.